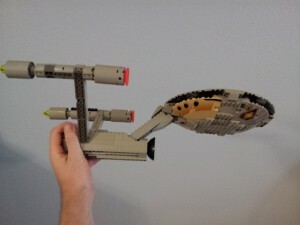 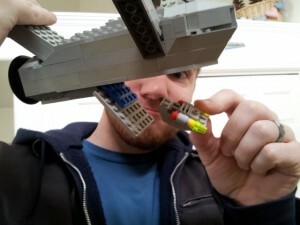 There’s nothing like repurposing an old LEGO set to build something new. 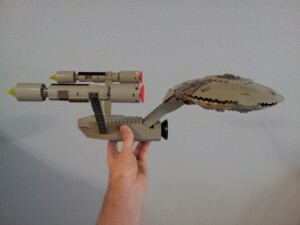 In this case, the 1997 Alien Avenger UFO set was morphed into the star ship Enterprise, from Star Trek. 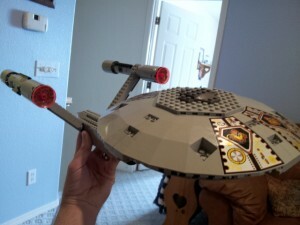 True, the Enterprise didn’t have alien decals on its saucer, but it’s still a nice job. 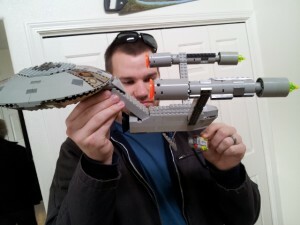 Note that this Enterprise is complete with a shuttle bay and mini shuttle. 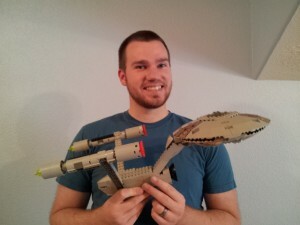 And of course, it comes with a proud builder. 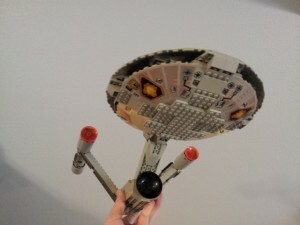 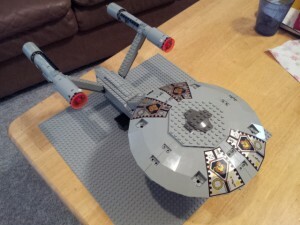 This entry was posted in Models on January 8, 2013 by lego.